Faro, Portugal:Portugal and Croatia drew 1-1 in a friendly match that the hosts faced without captain Cristiano Ronaldo. Despite the absence of the superstar striker, more than 26,000 people turned out for the contest at Algarve stadium in Faro Thursday. 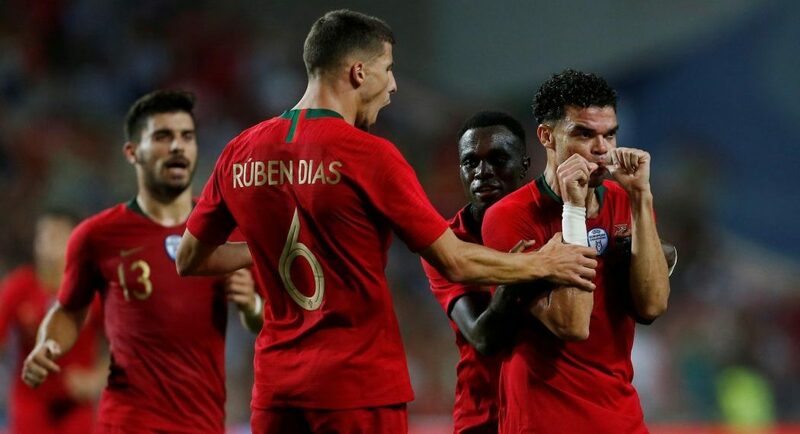 The Portuguese made the brighter start, but the first goal belonged to the 2018 World Cup runners-up, who took a 1-0 lead in the 18th minute on a strike by Ivan Perisic, reports Efe news. Led in the midfield by UEFA player of the year Luka Modric, Croatia looked set to take command of the game until Pepe equalized for Portugal in the 32nd minute with a perfect header off a corner. Perisic had a chance to reclaim the lead for Croatia early in the second half, only to head the ball straight into the hands of Portugal keeper Rui Patricio. Croatia coach Zlatko Dalic, looking ahead to next week’s Nations League clash with Spain, subbed out Modric and Perisic for the final 30 minutes in Faro. The Portuguese dominated from that point on and would have taken a 2-1 lead in the 77th minute if Mario Rui’s shot hadn’t bounced off the base of the post.